Contradiction Films has teamed up with Remedy Entertainment to make a TV drama series based on the latter's 2010 video game Alan Wake. The story is set in the town of Bright Falls, Washington, and sees horror novelist Alan Wake trying to track down his missing wife. As the story unfolds, he gets involved in increasingly weird events. Strongly influenced by The X-Files, Twin Peaks and Stephen King novels, Alan Wake was a commercial and critical success for Remedy, selling over 4.5 million copies. Peter Calloway (Cloak & Dagger, Legion) has written a pilot script for the show which is being shopped around various studios by Contradiction. The TV show will partially adapt the game's storyline, but will have the freedom to move beyond the constraints of the game (which remains focused on Alan at all times). In particular, the TV series will explore some of the secondary characters in the world. 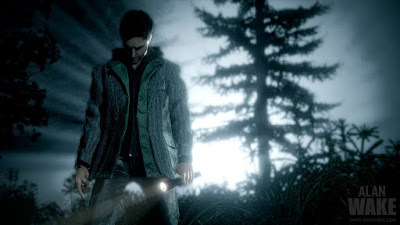 Remedy Entertainment have long harboured plans to make Alan Wake 2, but despite the first game's success they have been unable to do so: their then-publishing partners Microsoft instead convinced them to work on an original game for the X-Box One's launch, the splendid (but under-performing) Quantum Break, and have not had an interest in publishing a sequel to the older game. Remedy's next game, Control, will be released in 2019.